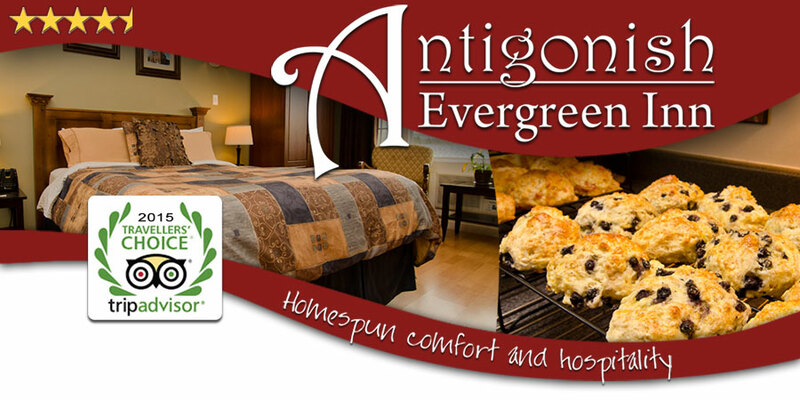 Antigonish Evergreen Inn is proud to partner with the below businesses to provide you with great savings. Enjoy your own picnic basket prepared especially for you at the inn. Homemade breakfast with hot cereals and Linda’s famous and delicious blueberry scones. A romantic evening for two in a room with queen bed complete with the below features. Please inquire on rates.